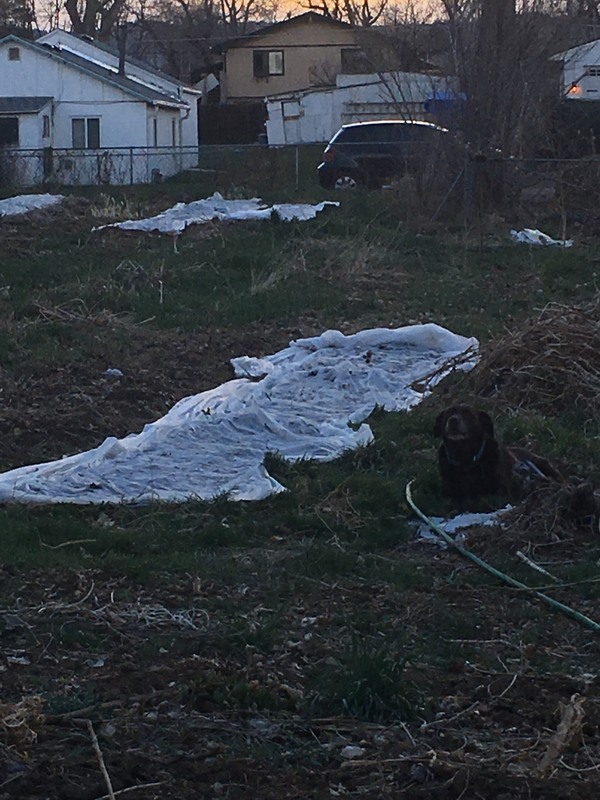 Spring on the farm is full of prepping soil, planting and, this year, snow. 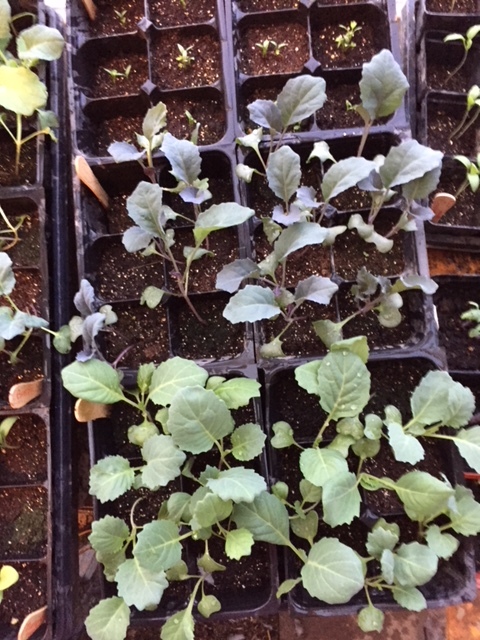 Outside peas, spinach, lettuce, beets, carrots, collards, and kohlrabi are seeded. And, now the onions have been transplanted out too. 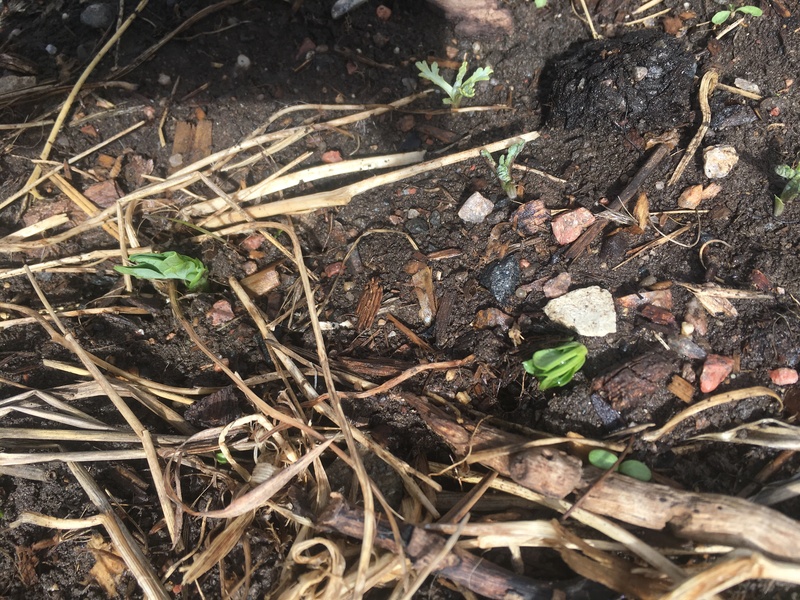 I have seen a few pea heads starting to poke out and the first leaves of some beets. 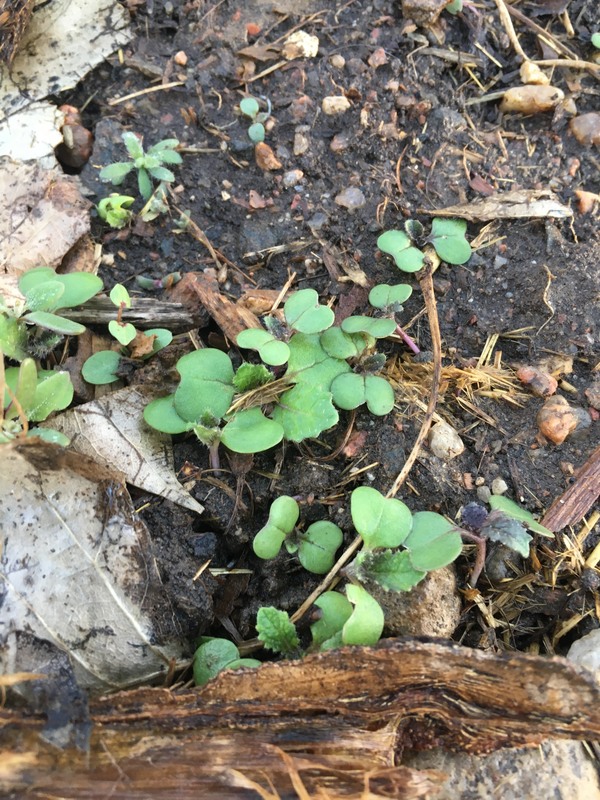 But, more than anything that I have actually planted, there is a forest of volunteer mustard that will have to be weeded out. 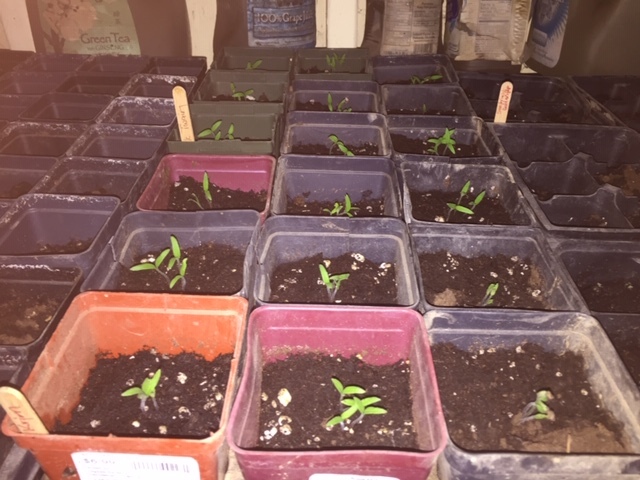 In the greenhouse there was a disappointing moment where most of the peppers and eggplants and lots of the kohl crops didn’t germinate. I always come back to the fact that one of the hardest things about farming is how much we can’t control. 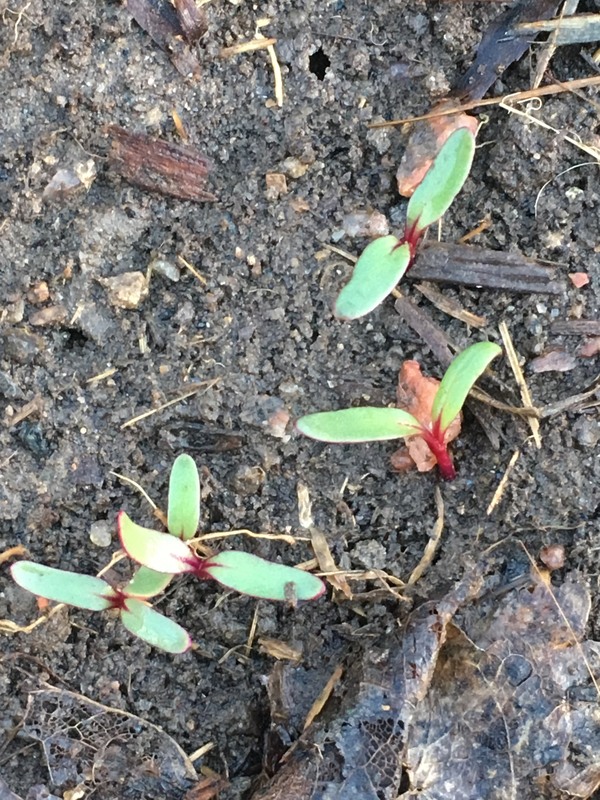 There are so many variables to account for from seed quality to moisture levels to little critters. 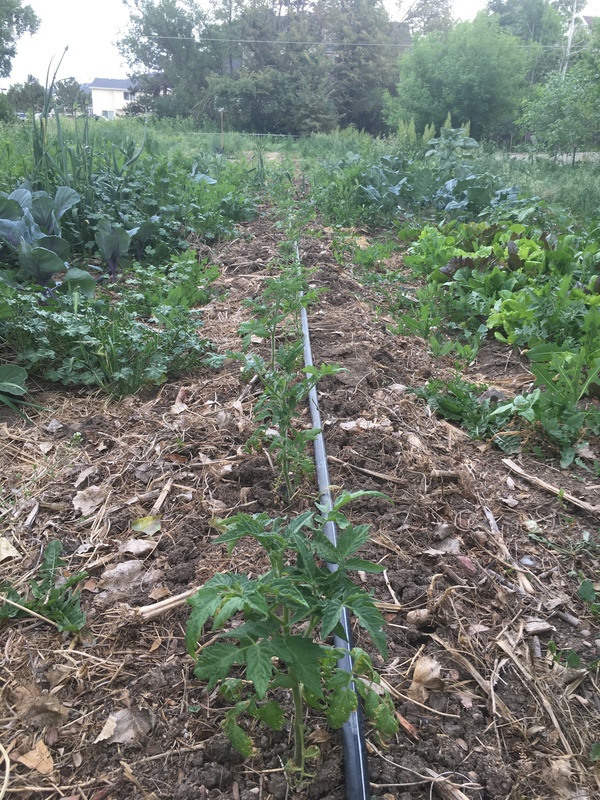 But, the tomatoes are coming up beautifully and everything else has been reseeded so we are getting back on track. Start Dreaming of Farm Fresh Veggies! 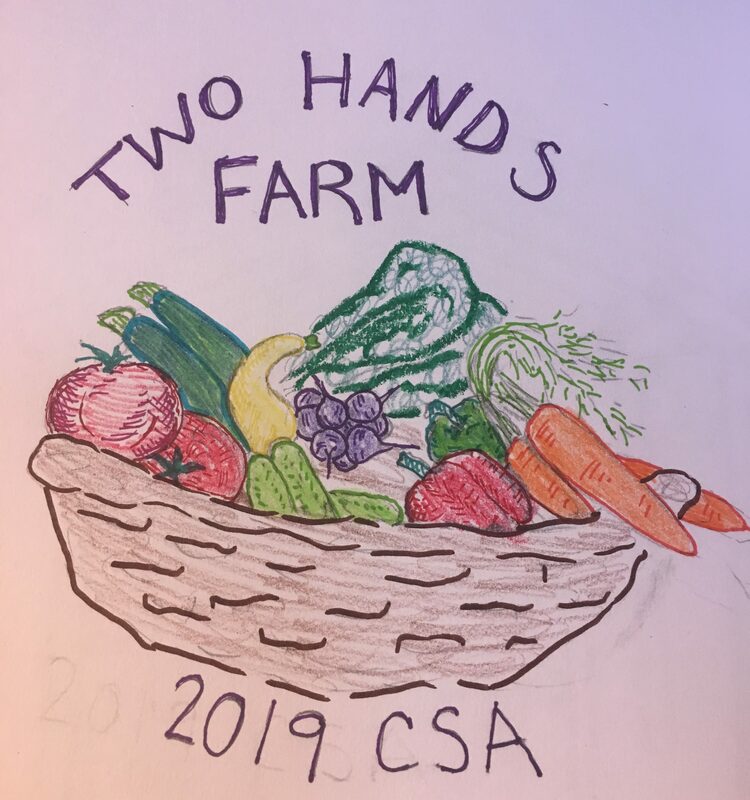 The 2019 Two Hands Farm CSA is open. 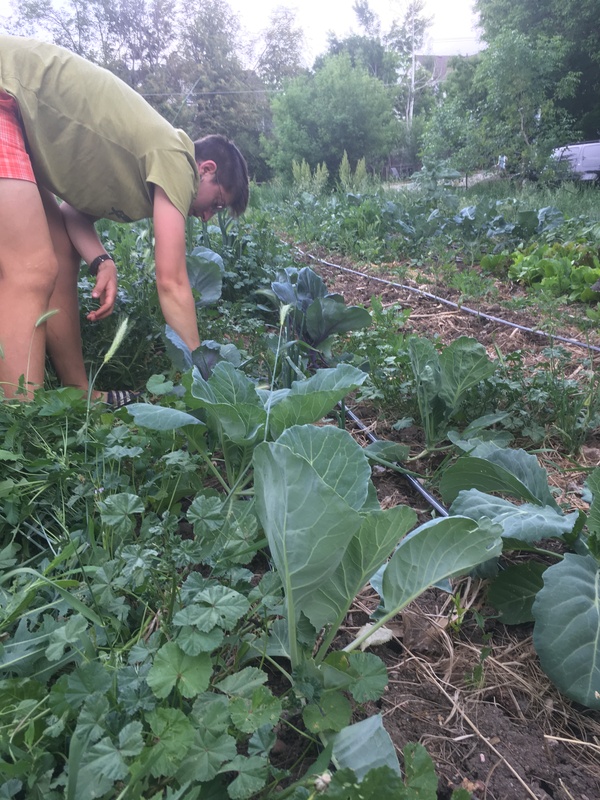 As a member of the CSA you get fresh, local delicious vegetables every week from the beginning of June to mid October. 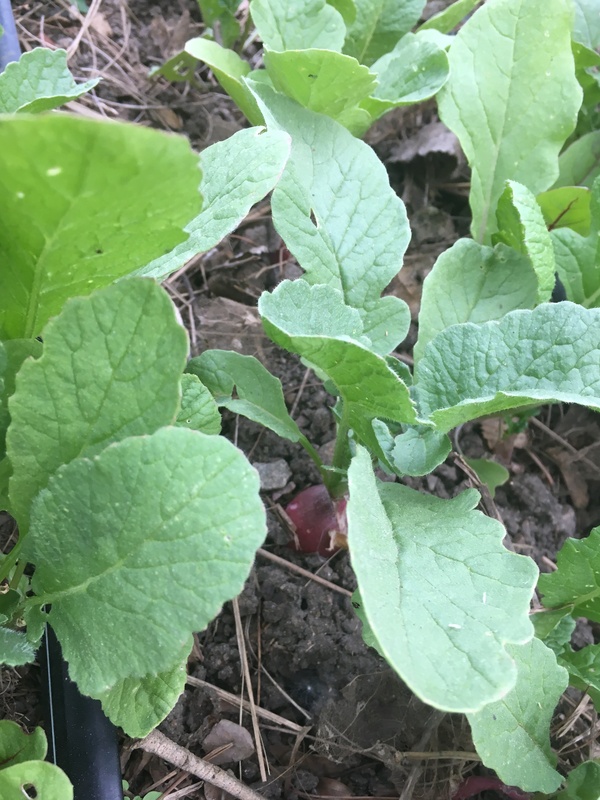 Early in the season you can expect lots of greens and early roots like radishes and beets. 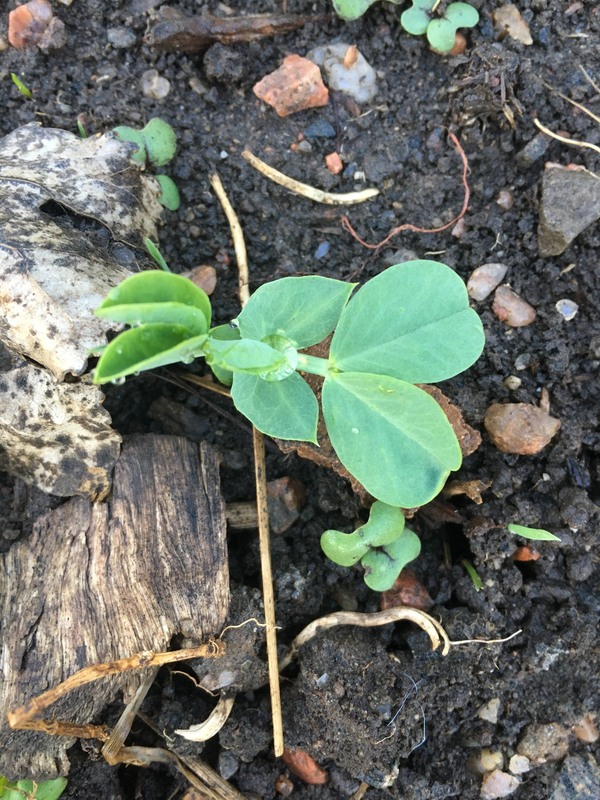 Midsummer will add vegetables like peas, beans, and summer squash. 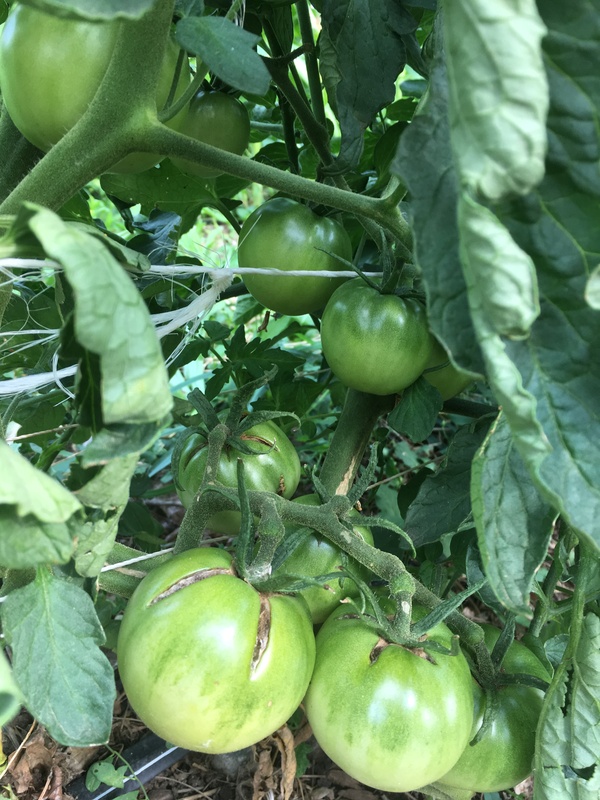 Early fall brings tomatoes and peppers, cucumbers and melons, eggplants and tomatillos. As the season winds down potatoes, winter squash, and onions are ready. Click on the 2019 CSA page to learn more and to sign up. I have been doing some comparing this week, some is positive and some really isn’t. 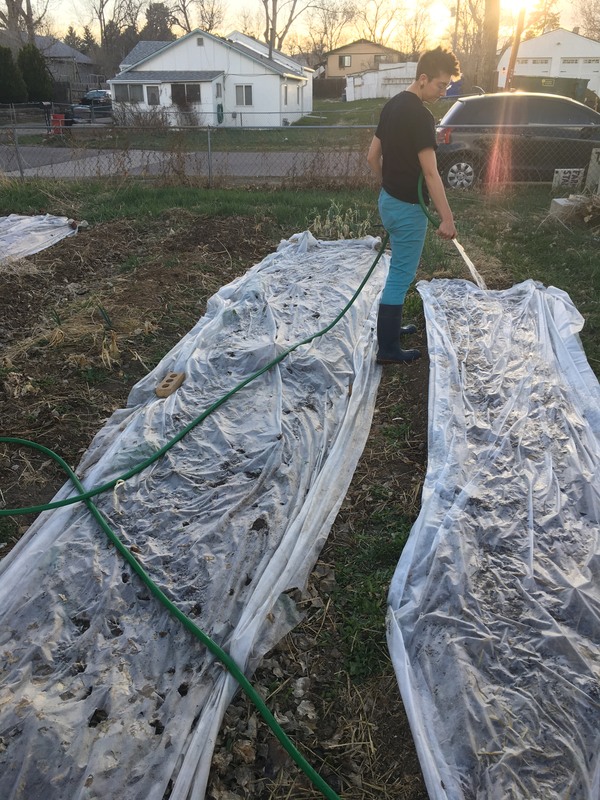 I looked back at last year’s log where I keep what I am giving out for the CSA each week to compare what I was giving out at this time last year, and there were more “summer” crops ready earlier last year, like cucumbers and beans. 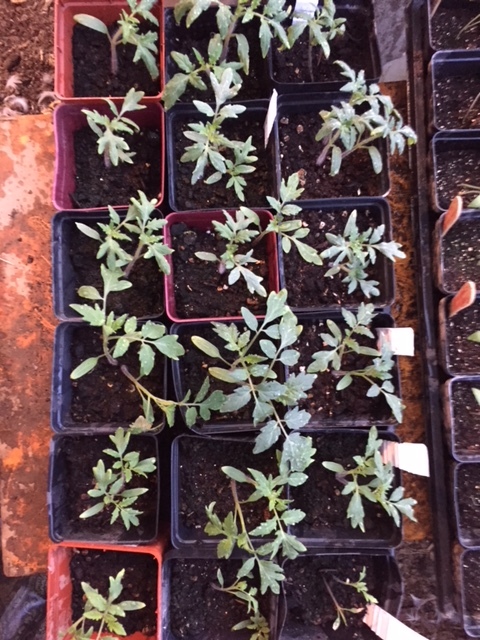 And, my first reaction was one of blame on myself for not getting these plants going fast enough. But, the reality of farming, which is both really good for me and really hard for me, is that I am not in full control of what happens or how exactly it happens. 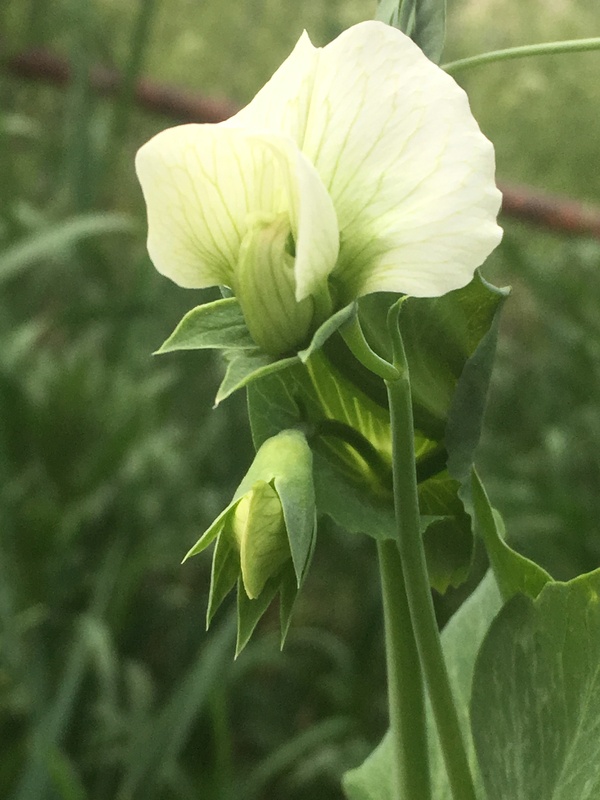 There are an infinite number of factors that could have impacted the pace of one vegetable maturing, and what I am doing is only a small part of that. 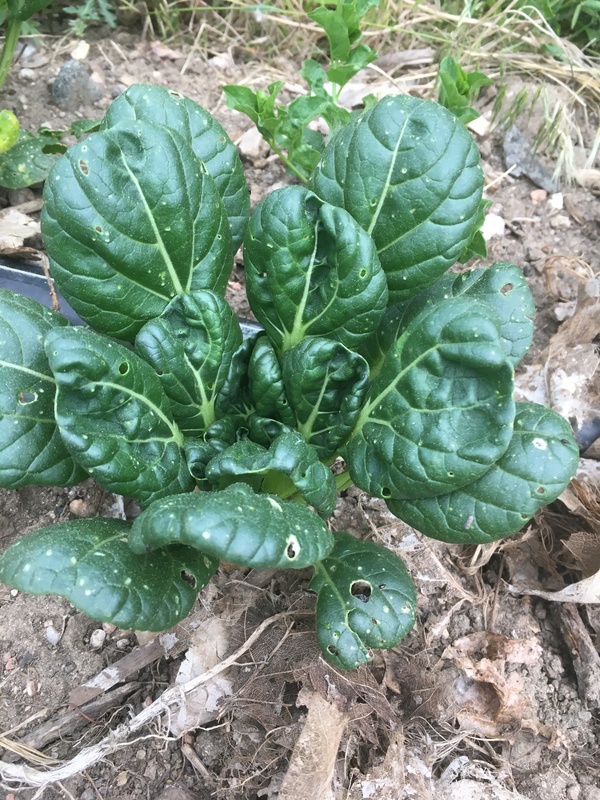 And, what is more valuable to spend my energy on is noticing how much growth there is, and how much food is being produced. Which leads me to comparison number 2. Looking at the forest that the farm is today (and mostly not from weeds) in comparison to how the farm looked in March or April or May as things were just getting going. 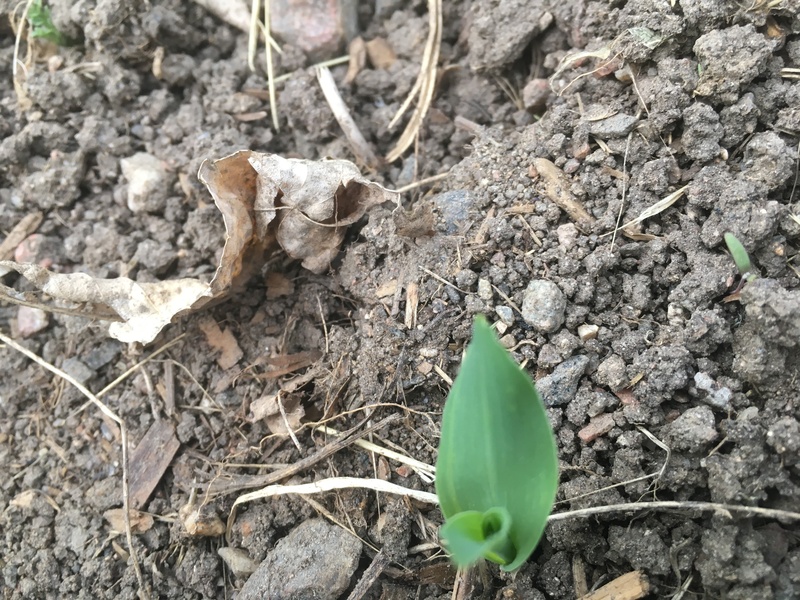 Every year in the early part of the season I can hardly imagine the farm full of green growth, and thank goodness, every year it seems to happen. That is the joy of this farming thing. A friend of mine recently came to visit the farm and brought tremendous enthusiasm about all of the growth that is happening here. 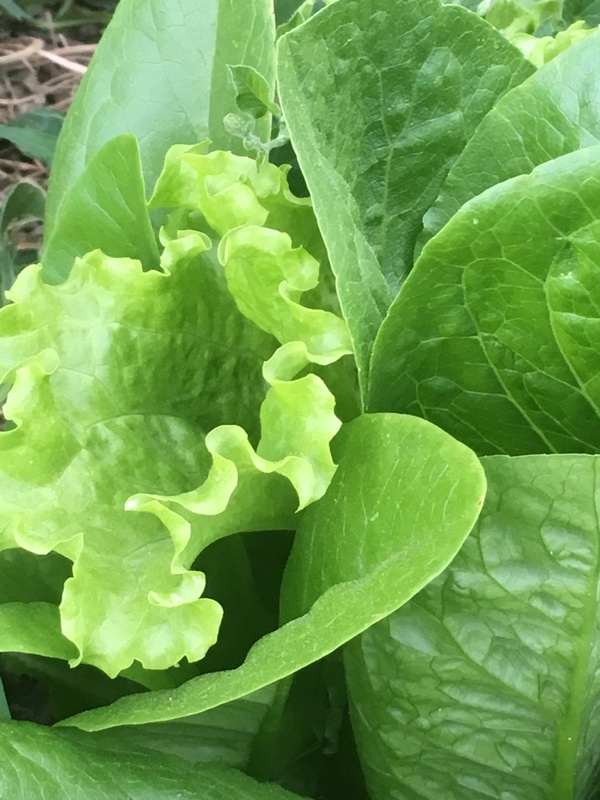 As someone who had not had the opportunity to see vegetables in their creation phases she was keenly interested in what parts of the plant are what we generally eat and how they grow. 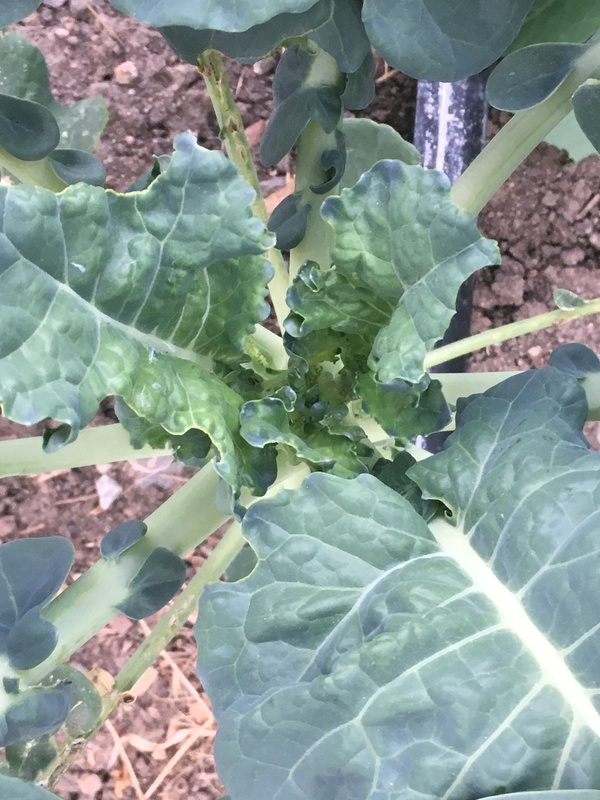 There was excitement from flowering potatoe plants, especially when noting that the potatoe of course doesn’t come from the flower but grows under ground, seeing cabbages as they were just beginning to curl up, and the idea that what we eat when we eat broccoli is actually the flower. 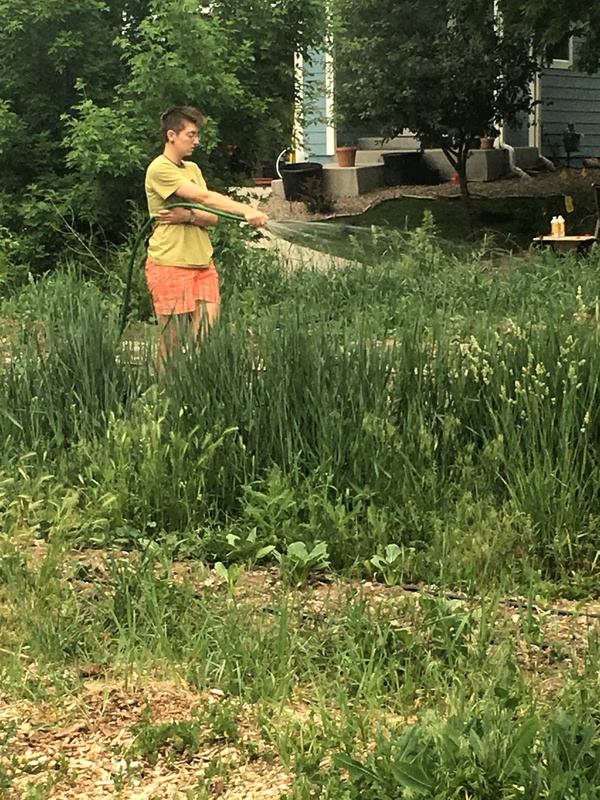 She was tempted to describe the farm as the plants or vegetables in the wild, but I clarified that what was happening on the farm was not wild. And, that most of my job as the farmer was to combat the wild. So, she settled on the idea of the farm as a plant zoo. So, here is your look into my ¨plant zoo”. This was the first week of the 2018 Two Hands Farm CSA season. 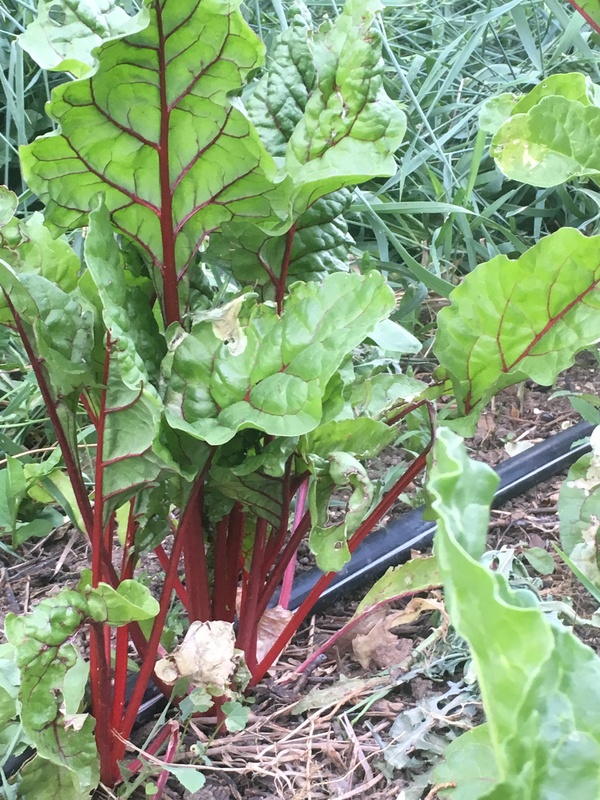 Members got a smattering of early crops including rhubarb, radish, lettuce, mustard greens, and, a hold over from the end of last season, parsnips. 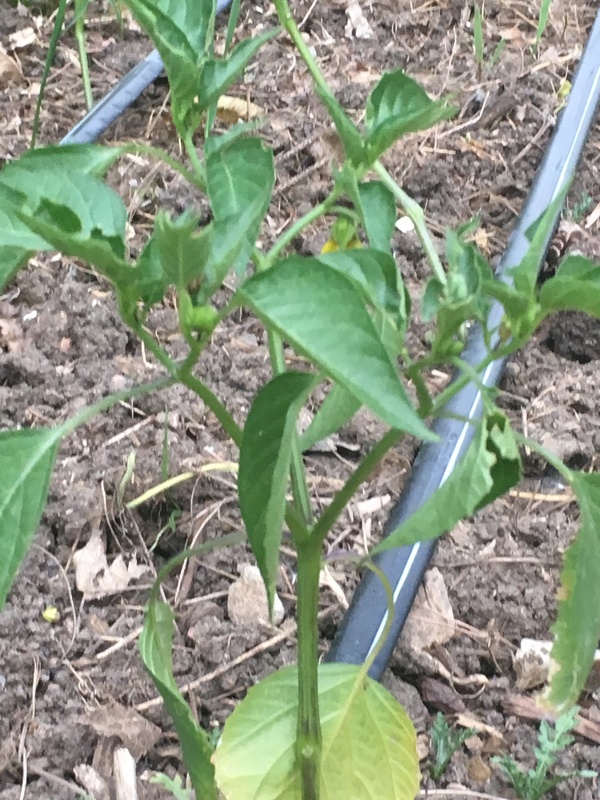 While a few things are already ready to be harvested, most plants are just settling in, starting to grow, or just flowering. Here is a visual tour of how things are looking. It feels like the momentum is building on the farm. 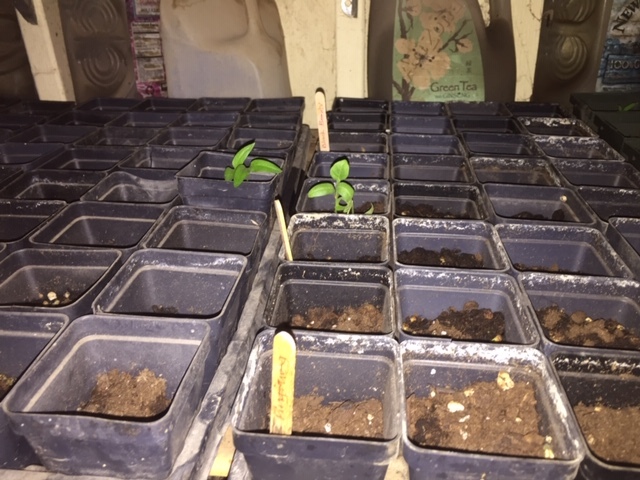 Each weekend brings more plants germinating and more work to be done. 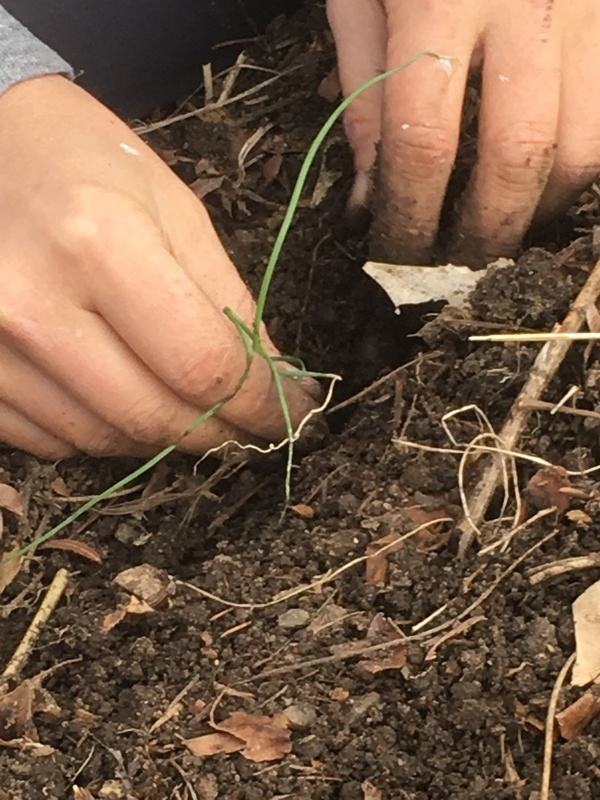 This weekend I transplanted onions out on to the farm. I weeded the baby plants, getting to see how many of what has come up and get rid of the bad guys around them. 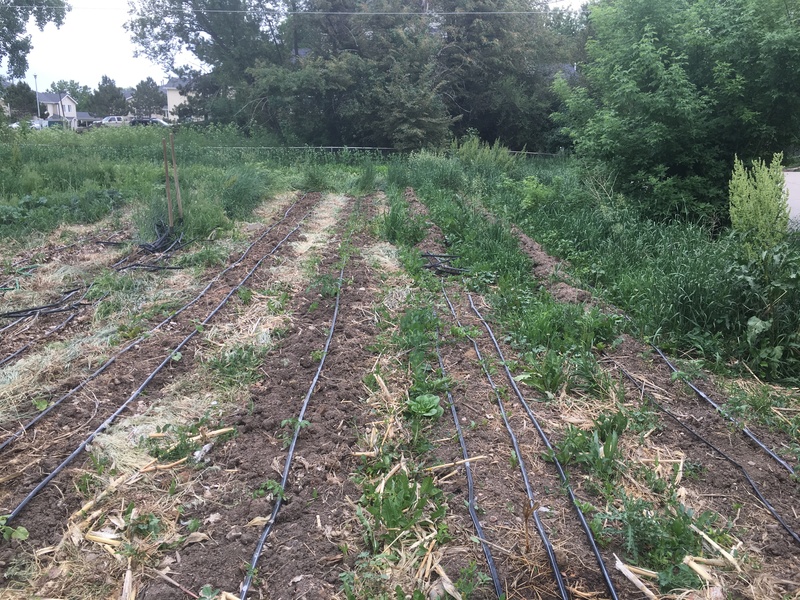 I laid out drip tape for all of the areas planted so far and started the process of re-setting up the irrigation system. This is a bit of a headache every year as I try to figure out the balance between accepting leaks and buying new parts. This time of year the farm looks a little sad, but all the areas with white row cover have things growing underneath them!